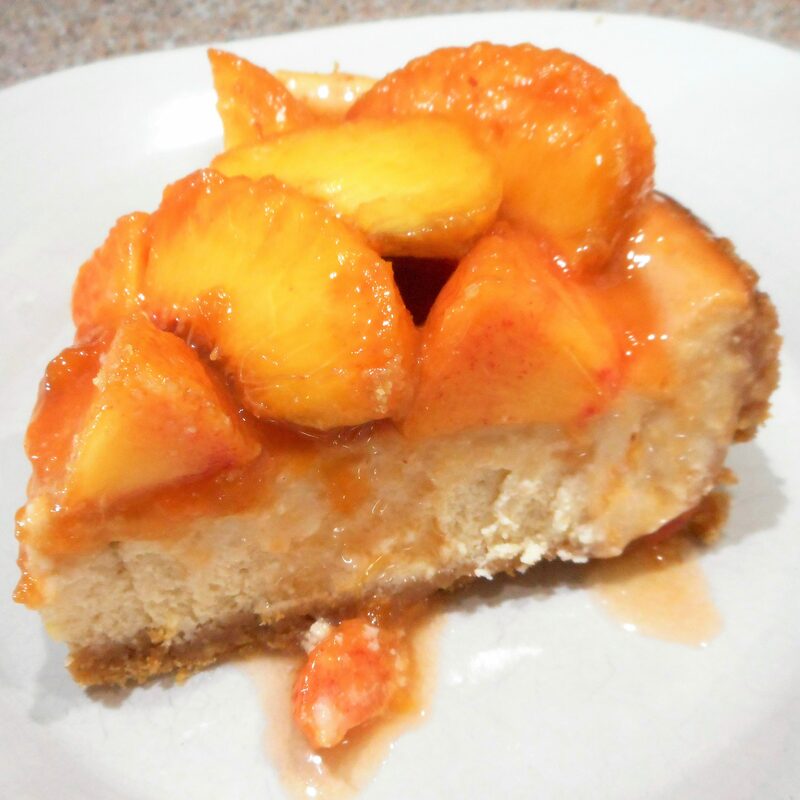 Fresh peaches are a must for this summer time treat, but that makes it all the more special! 3. In a food processor, pulse the vanilla wafers along with the brown sugar and salt to form fine crumbs. With the processor running on low, drizzle in the melted butter. 9. Add the brown sugar and flour and process until well blended, then add the remaining ingredients and continue to process until smooth. Pour into the prepared pan. 10. Bake for 55 min to 1 hr 15 min, or until the center is just set. Turn off the oven and let the cheesecake set, with the door just slightly ajar, for 30 min. 11. Remove from the oven and cool completely. 13. Place the peach preserves in a large microwave-safe bowl and microwave on high 30 seconds on high or until bubbly. stir in the schnapps and lemon juice. Add the peach wedges and toss to combine. 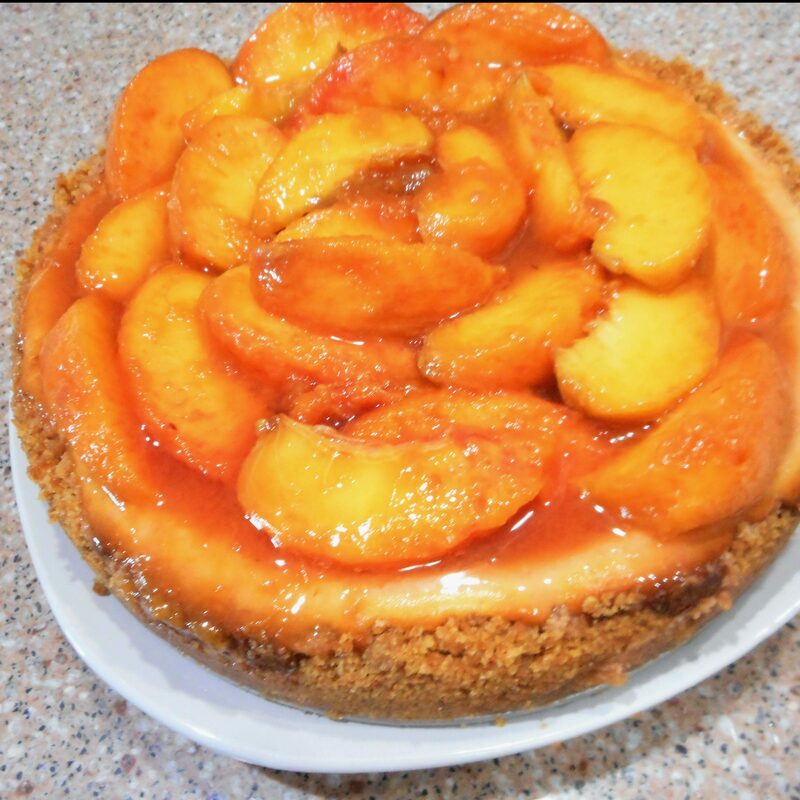 Arrange the peach wedges over the cheesecake.